It’s never been easy to be green. Businesses who’ve gone this route will tell you that it’s a journey, not an event. If you haven’t already gone green, you should be thinking about it. Here’s why. Businesses gobble up 40% of all energy in the U.S. This means that just one business consumes 1,175,000 KWH a year on average—enough to power 65 medium-sized homes for a year. Based on these stats, a business’s efforts to reduce their carbon footprint is almost a social obligation. But it’s not that simple. Could helping the planet harm your business? Sustainability involves a lot more than recycling waste paper, using energy-saving light bulbs, and switching to free trade coffee in the staff canteen. In setting out on the journey to go green, your business will need to carefully consider its triple bottom line: uplifting people, increasing profit, and protecting Earth’s resources through responsible business practices. Your first step is to collect information specific to your business based on your responses to the questions posed in this blog. This information can then be used during the green certification process if this is the route you decide to take. 1.Would Green Certification Mean Anything To Your Clients? The latest research suggests that clients really do care about green certification. The building industry has named the top trigger for adopting green business practices as “client demand” growing from 34% in 2008 to 40% in 2015. Results from Walmart and Target record a similar shift in consumer behavior—a 20% increase in sales after expanding their stock of green products. This trend extends to the B2B environment. 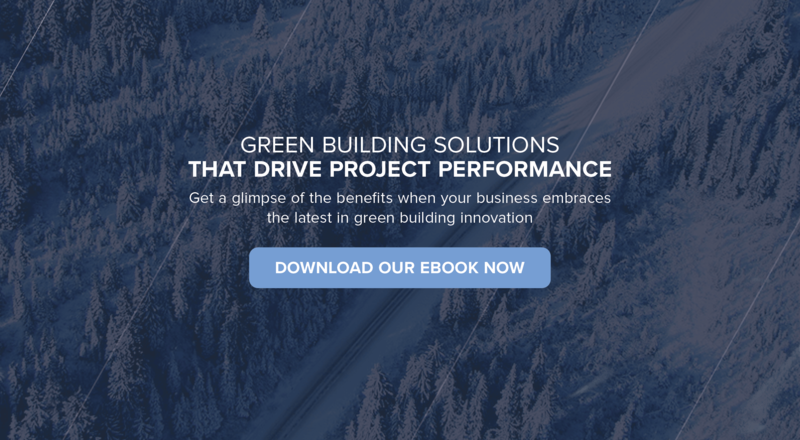 Dodge Data & Analytics, in its World Green Building Trends 2016 report, found that nearly 91% of respondents reported using at least one type of green product on their projects. This presents a tremendous opportunity in the B2B space to supply advanced products to the building and construction sector. One such company is Thermal Intelligence, who have created the Northern Shield range of ultra-efficient industrial temporary heaters. Their next-generation heaters that outperform their competitors in terms of cost, safety, efficiency, and reliability, are a solid example of how environmentally-friendly technologies and business practices can dovetail with profitability and business efficiencies to create a healthy business with exciting prospects. They are also the first temporary heating business in the world to be green certified. Another exciting example of how consumer demand for green credentials has helped to bolster business are the recent achievements of the hospitality industry. The United States Green Building Council’s (USGBC’s) LEED in Motion: Hospitality report, found a correlation between the LEED certification of 134 million square feet of hotel space and an increasing consumer demand for sustainability practices, this time in the form of healthier indoor environments. Green hotels are proving to be more than a trend; they’ve played a part in reviving the hospitality industry after its 2009 downturn, by providing new spaces for customers and investors that are different, exciting, healthy, cheaper to run, and sustainable into the future. In a survey of the world’s leading brands, respondents expect that 98% of consumers will be interested in sustainable lifestyles by 2018, making it a market-dominating force. 2.Would Green Certification Have An Impact On Profitability? One of the biggest obstacles to adopting green business practices is the perception that sustainability is a luxury investment. In contrast, a McKinsey study presents growing evidence that sustainability initiatives can help to create profits and opportunities for businesses. In the study, Deutsche Bank evaluated 56 academic studies of companies with high ratings for environmental, social, and governance (ESG) factors. It found that 89% of these companies outperformed the market in the medium term (three to five years) and long-term (five to ten years). These findings were corroborated by the Carbon Disclosure Project. Companies in its Carbon Disclosure Leadership Index and Carbon Performance Leadership Index, recorded superior stock-market returns, significantly outperforming the FTSE Global 5004 between 2005 and 2012. In real terms, according to the McKinsey study, an investment of $1 at the beginning of 1993 in a value-weighted portfolio of high-sustainability companies would have grown to $22.60 by the end of 2010, compared to $15.40 for the portfolio of low-sustainability companies. The high-sustainability companies also did better with respect to return on assets (34%) and return on equity (16%). An interesting conclusion, drawn by the authors, was that the success of sustainable business practices was largely dependant on developing “a structured program to improve performance and a sustainability philosophy”, and that developing a corporate culture of sustainability may be a source of competitive advantage for a company in the long run. 3.Will Certification Help Us Stay Within Environmental Regulations? In the next 12 months, the United States Environmental Protection Agency (EPA) will increase its efforts to push the green agenda by implementing and monitoring an increasing number of rules and regulations that hold the construction industry accountable for reducing its negative impact on the environment. Companies that fail to comply will find themselves faced with a grim scenario of fines and penalties, delays in production, and a potential loss of reputation and investment, depending on the severity of infringements. The EPA’s Canadian counterpart—Environment and Climate Change Canada (ECCC)—is increasing its efforts to advance the Canadian Environmental Protection Act, 1999 (CEPA 1999). The muscle behind the act is the Environmental Enforcement Act (EEA) that governs the fine regimes and sentencing provisions of nine environmental acts and has introduced new enforcement tools to achieve greater compliance with Canadian federal environmental legislation. Being part of the sustainability certification journey allows businesses to keep on top of the latest environmental laws and standards, which makes it less likely that they will at some point fall foul of environmental fines and penalties. 4.Can My Business Earn Tangible Rewards For Going Green? There are two methods used to change the way business interacts with the environment: the traditional regulatory command-and-control approach, and economic incentives or market-based policies. Not surprisingly, the latter has yielded the best results so far with its two programs: Emission Reduction Credits (ERCs) that allows polluters to earn credits by reducing emissions below their specified rate, and Capped Allowance Systems that set a maximum allowable cap on total emissions equal to the total number of allowances or permits allocated to a group of polluters. 5. Does A Green Certification Enhance Business Reputation? In the 2015 Nielsen Global Corporate Sustainability Report, 62% of consumers said that brand trust tops the list of sustainability elements that influence their purchasing decisions. A Sustainability Matters 2014 report surveyed 1,375 consumers and 575 senior executives of companies with revenues of over $500 million in China, Brazil, the United States, and United Kingdom—78% of respondents indicated that they do not buy a product if they don’t like the parent company. In today’s world of hyper-connectivity, business leaders have two primary responsibilities—to grow revenue and to protect reputation. There is little doubt that a sustainable brand enhances a company’s reputation. But reputation is about far more than marketing and PR. It is about the decisions businesses make that have an effect on stakeholder perceptions. If stakeholders do not trust a company to do the right thing, data shows that they will stop doing business with that company. Green certification provides a simple quality assurance of the impact your company has on the environment, not only for customers and clients but for potential investors. 6.Will A Green Certification Attract Investors? In the past, investors typically believed that impact investing meant a trade-off in performance. (Impact investing is the investment in companies, organizations, and funds with the intention of producing measurable social and environmental impact alongside a financial return.) This perception has changed dramatically in the last decade. To such an extent that Bank of America Merrill Lynch recorded in its Impact Investing: The Performance Realities white paper, that there were certain companies, also known as B Corporations, that had a double bottom line of financial return along with social or environmental benefit. It was noted that impact investing was not specific to any particular demographic but was driven by entrepreneurs, established business leaders, and mainstream investors. JPMorgan Chase will, for instance, invest $200 billion in clean financing in the next eight years to help companies and governments fast track to a low-carbon economy. They are taking their mandate to firms big and small, even underwriting Apple’s $1 billion in green bonds to fund environmentally focused initiatives. The Climate Bond Initiative estimates that the total amount of green bonds issued in 2017 could reach $150 billion compared $82 billion in 2016. 7. What Should I Know About The Green Certification Process? The first term you should be aware of when setting out on the green certification journey is “greenwashing”. This is the use of misleading advertising that promotes a company, service, or product as environmentally sustainable when it is not. Unfortunately, greenwashing has become a trend in the race by companies to reap the benefits of going green. For this reason, it is extremely important to make sure that the certification you pursue is administered by a legitimate certifying body. Keep in mind that even among legitimate bodies, certifications can vary in their diligence and oversight. Don’t rule out employing the services of a reputable consultancy to make sure that your certifying process is all it should be. Align your business with your values. Evaluate the costs and benefits. Establish sustainability goals that are specific and achievable. Set up sustainability incentives for stakeholders. Leverage the marketing benefits of your green certification. Achieving certification can be time-consuming; this should be reckoned into your sustainability project management. There are now more solar workers in the US than there are coal miners. In the last decade, there has been a move away from success and prosperity as ends in themselves, and a shift towards viewing these as byproducts of a broader cause that has the power to foster business trust and reputation, as well as success. Never has there been a more compelling cause for business and its stakeholders to rally around than climate change with its unprecedented potential for tragedy or reinvention.